Volunteer: Grace Centers of Hope; Redeemer Lutheran Church; Mission trips to Belize; Family of God soup kitchen. 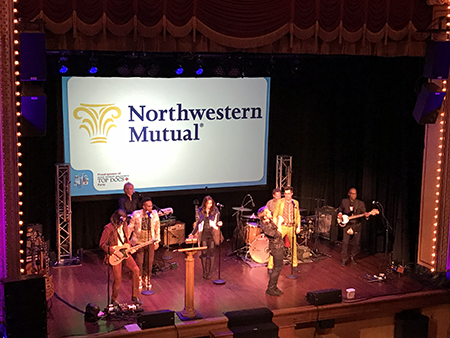 Marty and his team have sponsored and attended the "Top Docs' event at the Gem Theatre in downtown Detroit, MI several times. This event congratulates physicians who were named “Top Docs” in the southeast Michigan region, according to the annual survey released by Hour Detroit Magazine. We want to express our appreciation to these physicians for their dedication as they provide leading-edge medicine and compassionate care to patients. 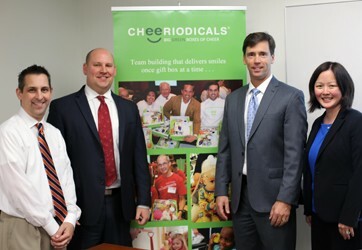 Marty and his team (pictured below) have contributed their time and money to the Cheeriodicals organization. Cheeriodicals are "big green boxes of cheer" made up of age-appropriate magazines, toys, crafts, and goodies for chidren hospitalized by cancer to enjoy at local hospitals. 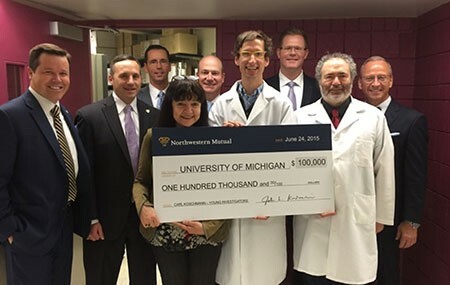 Marty was fortunate to take part in delivering a grant awarded to Dr. Carl Koschmann, MD at the University of Michigan. 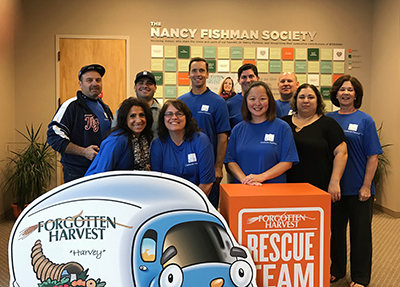 Northwestern Mutual, through it's nonprofit partner Alex's Lemonade Stand Foundation (ALSF) will support Dr. Koschmann's research for therapy for pediatric glioblastoma. He was one of eight researchers selected for grants by Northwestern Mutual nationwide.